Today is a sad day for me. Today I had to say good-bye to one of my critters. A little red-brown dachshund named Mr. Peanut. Mr. Peanut entered my life with the oversized name of Eugene. He was one of Bill Smith’s boys from Main Line Animal Rescue a few years ago. When I rescued him his story was a sad one – he had been in a fire and abandoned by his humans. As the story goes a kind fireman bought him to MLAR. A miniature dachshund, he was even smaller when I rescued him. And he had never had basic veterinary attention. He was in fact, seven pounds and a few ounces and for his size, he should have been heavier. He quickly wormed his way into my heart and the hearts of others in my life both friends and family. He was a smart little guy and very vocal for lack of a better description. He used to make this happy sound we called “mrrrrrrrr” . My friend Barb always thought he would be a great children’s book. Unfortunately, Mr. Peanut and I never got around to writing it. As Mr. Peanut aged he lost both his hearing and his eyesight. Yet for a good long while he adapted. But in the middle of the summer he had a seizure and was never the same since. The past few weeks he started to slide more and more down hill, barely able to walk, and when he did walk it was mostly in circles. And although he was eating, he was losing weight by the day. Today he told us it was time to go. If you listen to your pets, they do tell you. It is heart breaking when you accept what they cannot say in words. I don’t think losing a dog ever gets easier, and I have cried buckets today, and will probably do so for a while. But I always promise my pets I will never keep them around just for me, and I have never broken that promise. Today however, was really hard. Maybe this is not the best time to be writing this post because emotionally I feel so raw, but he was such an awesome little dog, he deserved a shout out. So now my little friend has gone to the rainbow bridge. I miss him already. A final note is to remember that there are a lot of wonderful dogs like Mr. Peanut who need loving homes. Don’t shop….adopt. And support local rescues like Main Line Animal Rescue. Even the smallest dogs have a job to do. 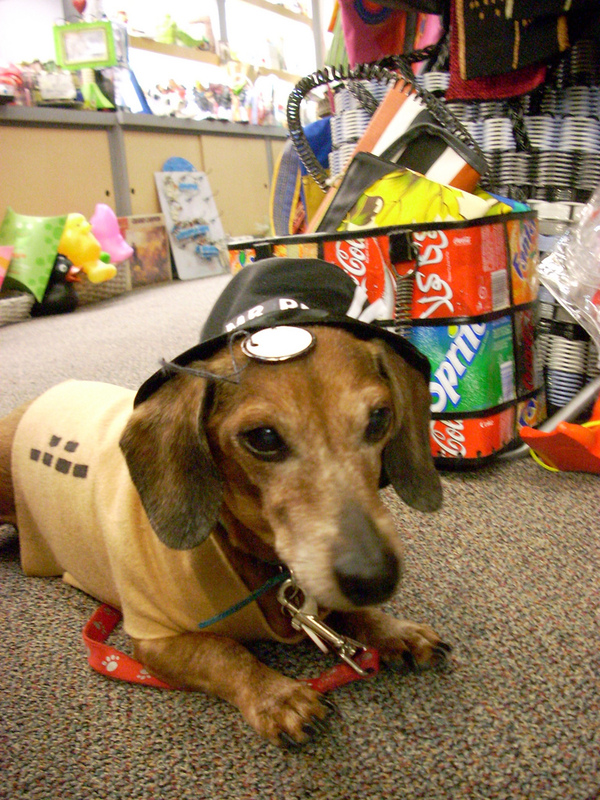 A miniature dachshund named Mr. Peanut had such a job. It was seeing his owner, Carla Zambelli, a Montgomery County blogger, writer, and photographer, into safe harbor from life’s hard knocks. There was something about that joyful, high-pitched bark and the dancing on little back legs that was consoling when he greeted you at the door, even if you didn’t know his story. Lifted onto your lap, he would burrow into your armpit and fall asleep, a package of warm contentment. Mr. Peanut did not have a good start in life. Near as we can tell, Mr. Peanut was found by firemen abandoned outside a gutted housing complex in Norristown in the mid-2000s. His family simply never went back for him. The firefighters scooped him up and took him to Main Line Rescue, where Carla saw him and was smitten. When the experts examined him, they found that he had never been given dog food, leash training, or any medical care. Most of his teeth were rotten and had to be removed. He spent the rest of his life taking antibiotics for various health problems. Carla had some setbacks, too. 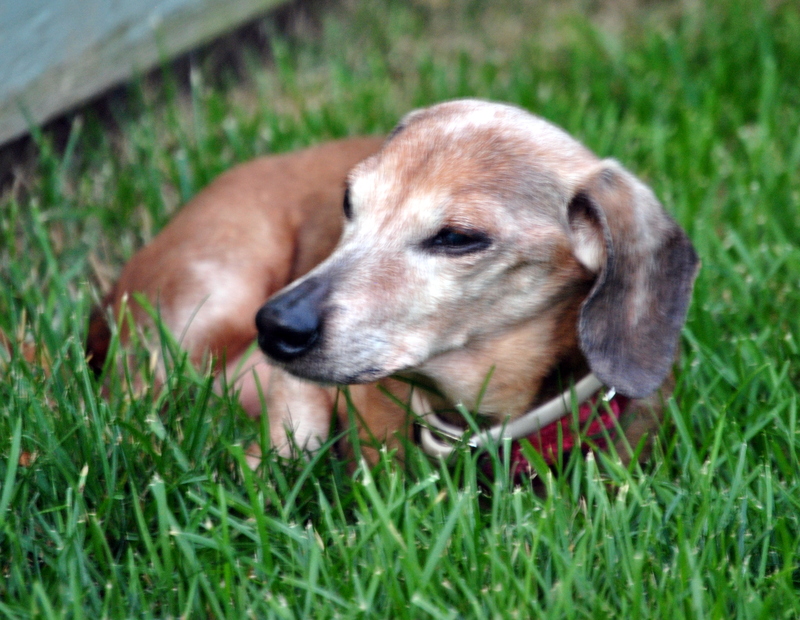 Her personal life went south in 2010, and Mr. Peanut, along with standard dachshund, Iggy, were a tag team, helping her cope. When Carla learned she had breast cancer, and mounted a fierce battle to beat it back, Mr. Peanut and Iggy were there. The tag team of rust-colored clowns never stopped being a force she could lean on. Carla beat the cancer and created a new life in West Chester. His human was safe, his work on earth done, so Mr. Peanut began to cycle down. Carla called us about a month ago, saying that Mr. Peanut was failing and we better come quickly if we wanted to see him one last time. On a rainy Sunday, we went. Carla put Mr. Peanut in our arms, and he settled in quietly without the usual clamor, his graying muzzle and black nose resting on our elbow. When Carla put him out to do his business, he could be seen circling the deck on determined little legs, the will to live still strong. But even strong little hearts give out. Rest in peace, brave little one. This entry was posted in Uncategorized and tagged dogs, Main Line Animal Rescue, saying goodbye by carla. Bookmark the permalink. I am so sorry. It is so difficult to be the decider and I understand EXACTLY how you feel. So sorry for your loss. I’ve said goodbue to several animal friends. It is awful and yet it is part of the deal, part of how we care for them thru the bitter end. It is never easy and each time is its own unique experience. They are living creatures in oir care, they give us their trust and companionship so it is right to grieve their absence. Words don’t really help but you are not alone in this experience and feelings. Thanks for sharing a bit of this little guy’s personality with us. What a lovely tribute to a true friend and family member. I have had to make that decision a few times myself, and you’re right it never gets easier. My heart is with you tonight as you grieve your little friend. Rest in peace mr. Peanut. He too let me know he was ready… The hardest thing I have ever had to do:-( even though it's been a little over a year, I can still feel those raw feelings– little moments where I would second guess myself and think– maybe I am making the wrong decision. What am I doing? But he was ready. Wow. Sorry. I totally just vented on your blog. I haven't talked about this in a long time. Well, never, really. I am so very sorry for your loss. I had the privilege of meeting Peanut on several occasions at Clover Market, and he was obviously well loved. I cried when I read your post tonight, and the lovely comments left by your followers. I, too had to say farewell to a beloved pet just a few months ago. We had spent a wonderful 21 years together- as Marcy said- through all the boyfriends, moves to different cities and throughout life’s abundant ups and downs, he was by my side. May the memories of your sweet peanut provide comfort for you in these coming hours, days, weeks and months. My deepest sympathies. I know how awful it is to lose a beloved dog. When my yellow lab Maddy died a few weeks shy of age 15, I said never again! I couldn’t bear the idea of having my heart broken so thoroughly by grief again. Ha! 2 weeks later I was trolling the Humane Society website and ended up with a koo-koo Golden Retriever named Harry. I love your tribute to Mr Peanut and hope your heart heals quickly. That is beautiful. I dread the day I lose my dog. I am so sorry for your loss, but what a lovely tribute!! oh my goodness how sad that is. so glad you had the pleasure of having him in your life. I just read this today — must have been meant to find it. 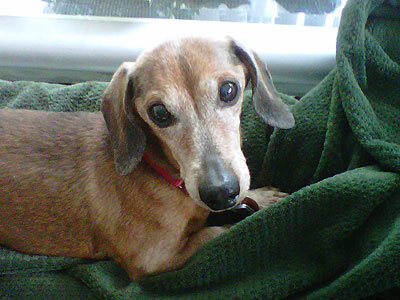 My own dachshund is 15+ and very much starting to fail. She had her stroke more than a year ago, and accupuncture with Leah Whipple at Berwyn Vet Center brought her almost all the way back. Just a little head tilt remains. Her hearing is shot, and her eye sight is shadows I think. I have the same promise to not keep her around just for me….but then she rallies and runs around the yard and chases a squirrel, and I know she’s telling me she’s not quite done. When I let her out, sometimes she forgets why she is there, and comes back inside and finds a place to finish her business…and I get angry and wish she would not do that. But then she nestles next to me as I sit and eat my lunch (she cannot get on furniture anymore, so is at my feet constantly). I pray for the wisdom to know when she’s really done. She’s about to go on a long car trip with me — leaving her behind is just not something I can do. So thanks for sharing your process and your decision. This is my 4th dachshund — she came from the SPCA in CC and has been a wonderful companion. 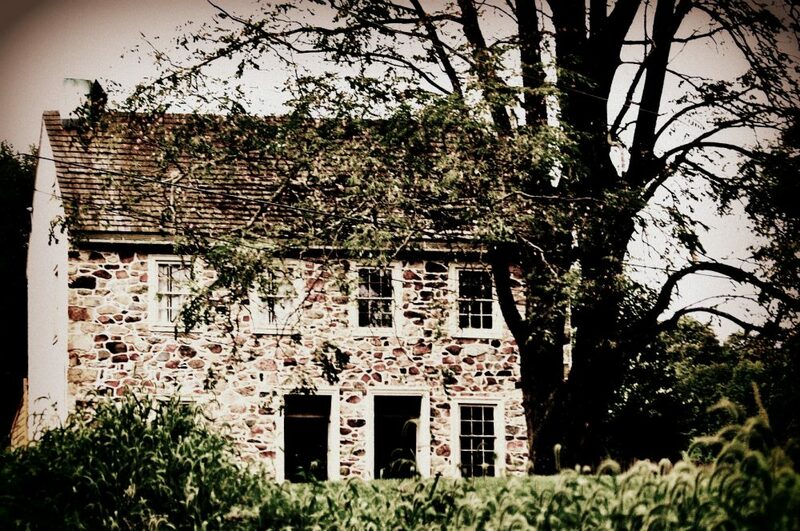 WHen you get them, 15-16 years sounds like a long, long time….and then, it’s over. Best to you in finding love to fill the void. My baby is probably my last dog, but loving every dog will help me say good bye when it’s time.